TECH SPECS: Z-80A CPU running at 3.58 Mhz, 8Kbits of RAM, 16Kbits of VRAM. Video Processor: TI-TMS9928A capable of 16 colors. Sound Processor: TI-SN76489 capable of 4 channel mono sound. UPDATES: SG-1000 II – released July 1984 in Japan for 15,000 yen. 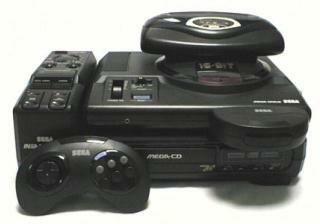 # OF UNITS SOLD: Unknown, but it is likely the poorest-selling console Sega ever released. Prior to the SG-1000’s release, Sega had been an arcade game manufacturer only. With the arcade boom in the late 70s and the early 80s, the company flourished, producing games such as Head On, Turbo, Zaxxon, and Sub-Roc 3-D. By 1982, however, arcade revenues started to decline and Sega needed to find other ways to make money. Gulf & Western, the then-owners of Sega, asked Sega of Japan’s president, Hayao Nakayama, how they should proceed with business. He advised that they move into the then-fledgling home console market and the SG-1000 was born. The SG-1000 was Sega’s first awkward step into the home console landscape, but don’t be shocked if you’ve never heard of it until today. The console was only released in Japan, Australia, New Zealand, and select parts of Europe, and was successful in exactly none of them. Thanks to the Famicom’s impact, the glut of consoles/home computers on the Japanese market, and the overall crappiness of the device, the SG-1000 was a relative failure, even upon release. The graphics for the majority of SG-1000 games look terrible next to Famicom releases of the same time (the SG-1000 has roughly the power of a Colecovision), and the SJ-200 joystick was criticized for being “stiff and unresponsive.” Like other consoles of the time, the joystick has a short cord length and is tethered to the console itself. This meant that, should the controller break, it would be incredibly difficult to replace. Couple ugly games and bad controls with a lack of third-party support, and it was clear that the SG-1000 wasn’t long for this world. This didn’t stop Sega from trying to extend the console’s lifespan, though. If you grew up in the 90s, you know of Sega’s fondness for releasing an exorbitant amount of peripherals and unnecessary add-ons. This trend started with the SG-1000. Two add-ons of note include the Card Catcher, a device that allowed players to use Sega Cards on the console (Sega Cards were cheaper to produce than cartridges, but had less storage space on them – more on them in the ‘Peripherals’ section); and the SK-1100 keyboard. The keyboard cost almost as much as the system itself, and turned the SG-1000 (for all intents and purposes) into an altogether different device: the SC-3000, Sega’s one and only home computer. The SC-3000 was released in the same month as the SG-1000 and shares much of the console’s technical specs, as well. Because the SC-3000 is a computer and not a console, however, I will not be discussing it in detail on the site. Check SegaRetro for more information on the SC-3000. Typing of the Dead 8-bit… engage. In July 1984, Sega released the SG-1000 II in an attempt to right the wrongs of the initial iteration. The console retained the same internal components as the original, but featured a number of external changes. Instead of a joystick with two buttons on the side, the controllers now resembled the Famicom’s with a D-pad, Start and Select, and two main buttons; they could also be removed from the console. Sega Cards could be plugged directly into the system, and the expansion port – primarily used for the SK-1100 keyboard – was moved to the front. My personal opinion: the original SG-1000 looks retro cool, but the SG-1000 II is the far superior console– though that isn’t saying much. In October of 1985, a little over two years after the original launch of the SG-1000, Sega released a brand new system, the Sega Mark III. Gamers in the US and Europe would eventually come to know the Mark III as the Sega Master System, and it would be considerably more successful than the SG-1000. After the Mark III’s release, SG-1000 support dried up, and by 1986, the console was all but dead. 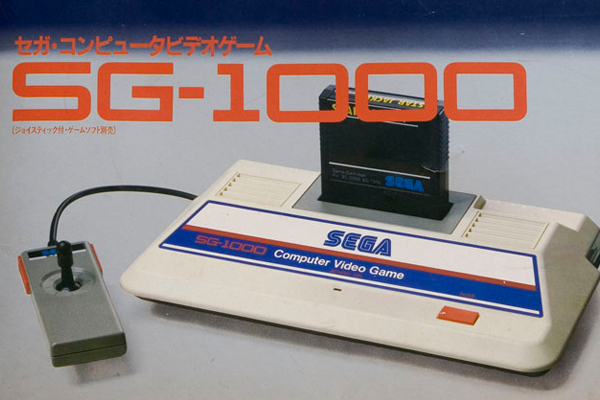 The only reason the SG-1000 is historically significant is because it was Sega’s first console. Few will remember it for its games or market impact. The console was supposedly enough of a financial success for Sega to continue trying to gain market share against Nintendo’s Famicom. In hindsight, the release of the SG-1000 and its add-ons/second iteration now seem like the beginning of one of Sega’s nastiest habits in the 90s: selling untested experiments rather than fully finished products; see also 32X, Sega CD, Saturn, etc. Surely this abomination could have been avoided, Sega? I have yet to play an SG-1000 or SG-1000 II in the flesh. Should you find and purchase one, you will not be able to play it unless you have a tube television that has an RF outlet. If you’re desperate to indulge in some SG-1000, uh, “goodness,” track down a Japanese Master System. The console is backwards compatible with both the SG-1000 cartridges and Sega Cards. I didn’t know this console ever existed. It’s been an interesting overview, thanks for it! I wish you the best of luck in your new quest! Its backward comparable with the Master System with out any kind of pass through device or add on? very interesting. I suspect its not compatible with a Genesis with a Power Base Converter? “In a design blunder for the ages”…Hmm, maybe you should do some research, unless you like to take jabs at Sega, seeing how you’re one big Nintendo Fanbody. Anyway: Back in the early 80’s it was pretty common for consoles to feature hardwired controllers with usually a very short cord. Hardwiring was done to reduce the costs and short cords where created to prevent people from tripping over them. The Famicom has the same short hardwired cable. So do the Magnavox Odyssey 2, the Vectrex, the Intellivision (first release), Fairchild Channel F, Interton VC4000, Bandai Super Vision 8000 and a couple others. Stil, this was a lot better than the previous “standard” of building all control elements onto the console itself (think RCA Studio II, the Telstar consoles, Nintendos Color TV-Game and basically all “Pong consoles”). I appreciate the extra information and I will edit the post accordingly. I’m still learning as I go, always. If you comment crap like this again, I will assume you’re a troll and block your IP. Not necessary. Hey, Senpai noticed you! Er, Jeremy Parish, I mean. Anyway, I think the Dina 2-in-1 by Telegames was able to play games for both the ColecoVision and this machine. And Sega infamously claimed in a pamphlet they distributed in the early 1990s that this was the first video game system ever. Heh, wishful thinking much? I’ve personally never played the SG-1000 itself. So this should be quite interesting for me. As far as backround I was one the people who owned a Sega Master System. Also interesting because I just started reading Service Games : The Rise and Fall of Sega by Sam Pettis. Which goes into quite a bit of detail on the SG-1000. I would highly reccommend this short book if you are going to be digging into Sega’s past. From my understanding, this was released within a very short time of the Famicom. Also it didn’t sell anywhere near Famicom numbers of course but was considered a financial success to the company, back the days when selling a couple hundred thousand units was a success. Enough so that led to the SMS that did quite well for the company worldwide. Look forward to reading your write ups. And I love the chronogaming format as well. It adds so much more historical perspective when looking back on a library of games. That being said. I don’t ever recall hearing too much good about the SG-1000 library outside of a handful of games. Thanks for reminding me about ‘Service Games,’ I need to pick that up. I had no idea Sega released a console before the Master System! I’m looking forward to learning more about it. Having listened to music from all of SG-1000 games, you’re in for some seriously crummy games. Oh well, good luck. Looking forward to entries further down the line.